In an effort to assist Malaysians affected by rising costs of living and declining sources of income, INTI International University & Colleges (“INTI”) will be introducing its 2017 Anniversary e-Scholarship platform as part of its education stimulus plan to increase student access to higher education. 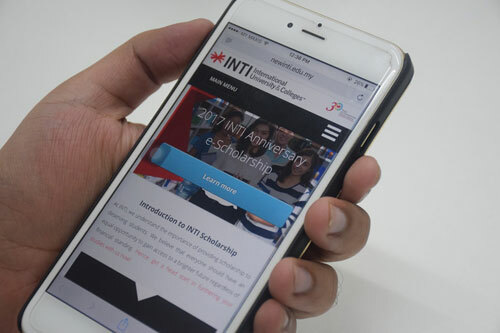 Available from 23 June onwards on INTI’s mobile app, all SPM, STPM, O-Level and UEC students will be able to apply for an INTI scholarship to secure a tertiary education – a first among private higher education to offer scholarships as early as June. While Malaysia’s economy is expected to recover gradually in the second half of 2016, there have been growing pressures related to declining sources of income and rising costs, as Malaysia hit its highest unemployment rate since 2010, peaking at 3.5% earlier in March. As the fifth most expensive country in the world for tertiary education in relation to household income, Malaysian parents are forking out a whopping 55 per cent of their salaries to fund one child for a university degree . This is a real growing concern facing parents and students alike. Mr. Rohit Sharma, Chief Executive Officer of INTI said, “Quality education is critical for the future of this country, as with any country in order to spur sustainable and viable economic growth. The INTI 2017 Anniversary e-Scholarship is one of our many efforts to increase accessibility to quality education for Malaysia’s young generation. We believe that this innovative solution will uplift the burdens of parents and students in this challenging period.”The INTI 2017 Anniversary e-Scholarship covers all Certificate, Pre-U, Foundation, Diploma, Undergraduate, and American University Programmes where SPM students can first apply from 23rd June onwards with their mid-year exam results. STPM, O-Level and UEC students meanwhile, can apply using their latest results. From 19th September 2016 onwards, students can then update their application using trial, forecast or actual results and select their preferred programme. 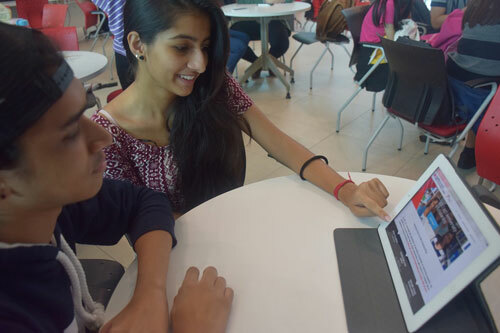 Following which, the INTI mobile app will share targeted content based on subject preferences for students to gain better insights into their respective programmes. The INTI mobile app also shares SPM exam tips through their #SPMsureskor collaboration with renowned Andrew Choo. “We hope that by offering these pathways to recognised international universities in our Laureate network, we are able to provide some relief to parents, thus boosting their ability to continue investing in their children’s education,” he stressed. INTI’s education stimulus plan is part of a long-term strategy to expand access to higher education in Malaysia. In celebration of its 30th Anniversary, the education stimulus plan also introduced new programmes with greater access and flexibility for students, cost savings of up to 65% in tuition fees, as well as affordability packages in which students can access an interest free monthly payment scheme. Other than that, INTI also introduced a fees lock, 30% bursary and a 40% cost savings for students transferring to Torrens University Australia, a sister university in the Laureate International Universities network.